Shopping for bedroom furniture can sometimes be a mundane task with a vast amount of choice. 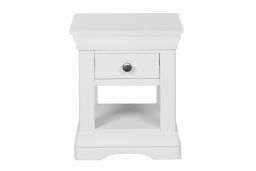 Look no further…we’re here to make it easier for you with the Toulouse White Painted 1 Drawer Bedside Table with Shelf. 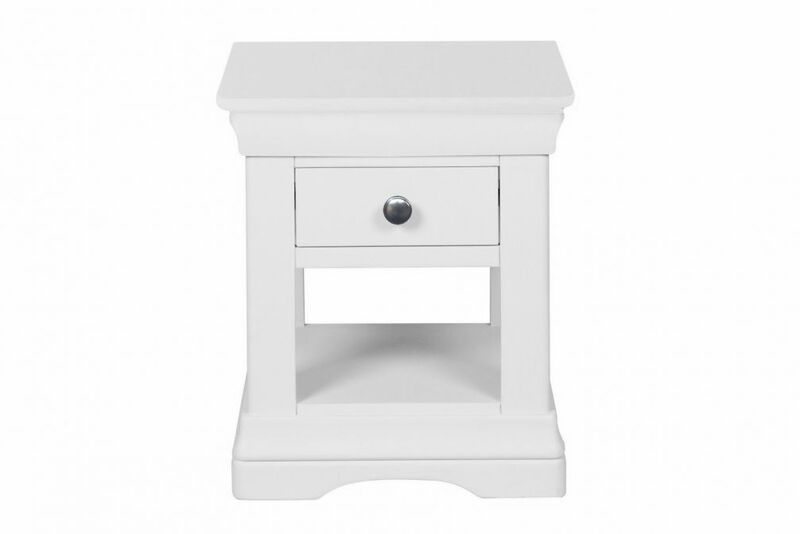 There are a number of reasons why we are confident this white painted bedside table will tick all the boxes. 2. Has one spacious drawer which is 26cm wide, 25cm deep & 9.5cm tall. 8. Has a spacious shelf which gives you 20cm of headspace of many household, bedroom items. Overall Dimensions – The bedside table is 50cm wide, 39.5cm deep and 60cm tall.